Looking to find the best price on a used vehicle? At Kia of Beavercreek we want to ensure that there’s a car available on our lot for every budget, which is why we’ve curated a wide selection of pre-owned vehicle specials. Find your favorite used Kia models like the Sorento or Forte, or choose from our selection of non-Kia vehicles. Additionally, you can browse our inventory of models priced under $10k to narrow down your search even further. This 2006 Saturn VUE in Laser Blue features. 4D Sport Utility, FWD, AM/FM radio, Remote keyless entry, Speed control, Steering wheel mounted audio controls, Tilt steering wheel. Odometer is 49697 miles below market average! 22/27 City/Highway MPG Take advantage of HUGE savings! Call 937-237-1000 to schedule a test drive today! Price excludes tax, title, lic, and dealer processing fee of $250. Still Night Pearl 2017 Honda Accord EX-L FWD CVT 2.4L I4 DOHC i-VTEC 16V Bluetooth, Leather, Clean AutoCheck, PRICED BELOW TRADE VALUE! !, Accord EX-L, Gray w/Leather-Trimmed Seats, Power moonroof. Odometer is 8475 miles below market average! 27/36 City/Highway MPG Awards: * ALG Residual Value Awards * 2017 IIHS Top Safety Pick+ (When equipped with Honda Sensing and specific headlights) * 2017 KBB.com Brand Image Awards * 2017 KBB.com 10 Most Awarded Brands 2016 Kelley Blue Book Brand Image Awards are based on the Brand Watch(tm) study from Kelley Blue Book Market Intelligence. Award calculated among non-luxury shoppers. For more information, visit www.kbb.com. Kelley Blue Book is a registered trademark of Kelley Blue Book Co., Inc. Whether you’re searching for a used car, truck, or SUV, we’re sure to have a model in stock that suits your driving needs as well as your budget. 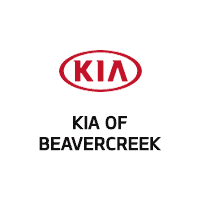 Plus, when you shop at Kia of Beavercreek you can rely on our helpful sales staff and finance team to work with you and answer any questions you may have about estimated monthly payments or loan and lease options. If you have any questions about the used models we currently have in stock, feel free to contact us or make the trip from Xenia to our showroom today!